Its principle is to eliminate the irritationoccurring on the nerve fibers by means ofexposure to the drugs. Under X-ray control (technique epidurografieya) to the problematic section is fed through a catheter that isintroduced anti-inflammatory, and decongestantsolutions absorbable drugs. 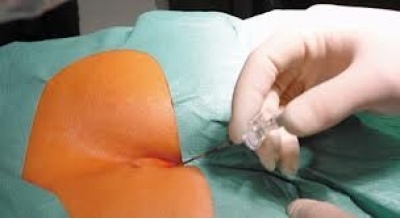 Most clinics provide services in Germany for the treatment of spinal epidural catheterization method for Ratsu. Introducedcatheter has a flexible structure and is equipped with a microscopic probe that allows the most accurate recovery of the nerve roots. The procedure for its introduction into the channel space is done using local anesthesia. In diseases of thelumbar and thoracic catheter is inserted into the coccyx, while Abuse cervical vertebrae - in the upper spine. The procedure takes less than 40 minutes. An hour later, the patient can get up out of bed and walk. For maximum results,the patient should be hospitalized for 3-4 days. During this time will be 5 such procedures.